Although most of us feel like we couldn't live without our mobile phones, they've not really been in existence for very long. In fact, mobile phones as we know them today have only been around in the last 20 years. Mobile phones, particularly the smartphones that have become our inseparable companions today, are relatively new. However, the history of mobile phones goes back to 1908 when a US Patent was issued in Kentucky for a wireless telephone. 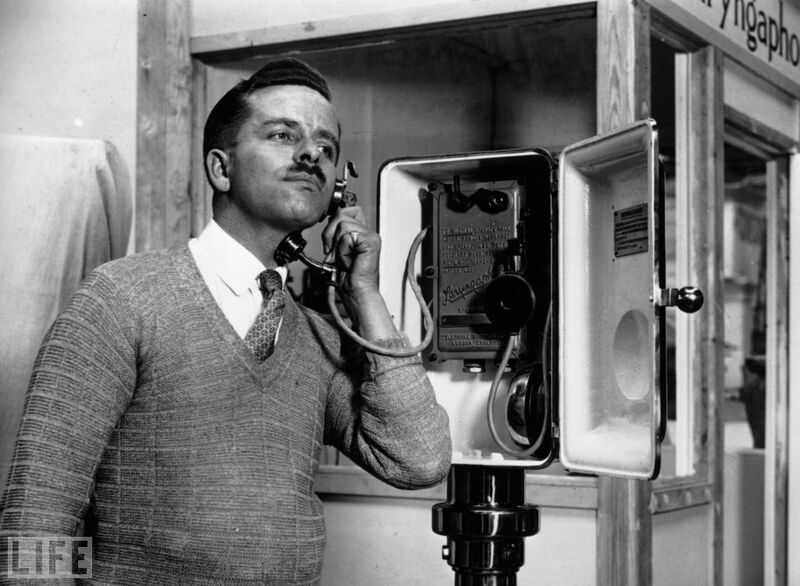 Mobile phones were invented as early as the 1940s when engineers working at AT&T developed cells for mobile phone base stations. 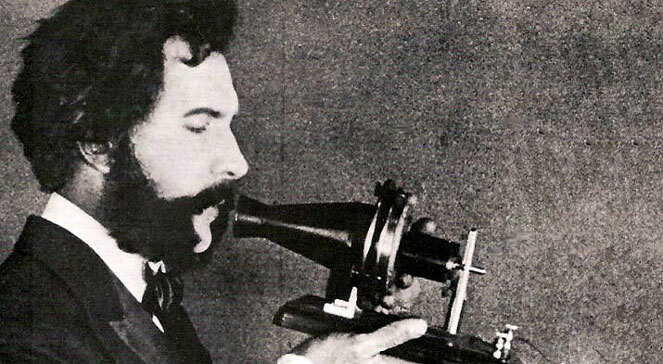 The very first mobile phones were not really mobile phones at all. They were two-way radios that allowed people like taxi drivers and the emergency services to communicate. 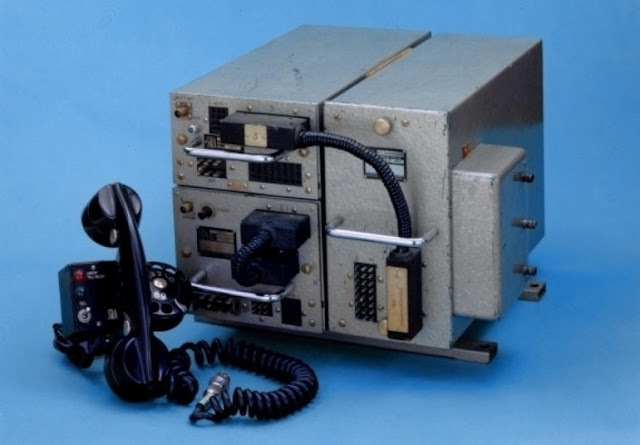 Instead of relying on base stations with separate cells (and the signal being passed from one cell to another), the first mobile phone networks involved one very powerful base station covering a much wider area. Motorola, on 3 April 1973 were first company to mass produce the the first handheld mobile phone. These early mobile phones are often referred to as 0G mobile phones, or Zero Generation mobile phones. Most phones today rely on 3G or 4G mobile technology. Mobile telephony has a long history that started off with experiments of communications from and to moving vehicle rather then handheld devices. In later years, the main challenges have laid in the development of interoperable standard and coping with the explosive success and ever increasing demand for bandwidth and reliability. 1926: The first successful mobile telephony service was offered to first class passengers on the Deutsche Reichsbahn on the route between Berlin and Hamburg. 1946: The first calls were made on a car radiotelephone in Chicago. Due to the small number of radio frequencies available, the service quickly reached capacity. 1956: The first automated mobile phone system for private vehicles launched in Sweden. The device to install in the car used vacuum tube technology with rotary dial and weighed 40Kg. It had a total of 125 subscribers between Stockholm and Gothenburg. 1969: The Nordic Mobile Telephone (NMT) Group was established. It included engineers representing Sweden, Denmark, Norway and Finland. Its purpose was to develop a mobile phone system that, unlike the systems being introduced in the US, focused on accessibility. 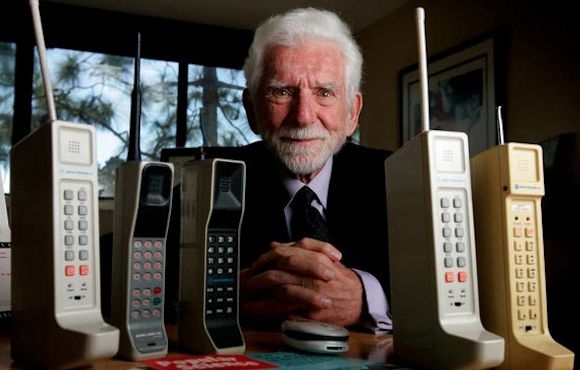 1973: Dr Martin Cooper general manager at Motorola communications system division made the first public mobile phone call on a device that weighed 1.1Kg. 1982: Engineers and administrators from eleven European countries gathered in Stockholm to consider whether a Europe wide digital cellular phone system was technically and politically possible. The group adopted the nordic model of cooperation and laid the foundation of an international standard. 1985: Comedian Ernie Wise made the first “public” mobile phone call in the UK from outside the Dicken’s Pub in St Catherine’s dock to Vodafone’s HQ. He made the call in full Dickensian coachman’s garb. 1987: The Technical specifications for the GSM standard are approved. Based on digital technology, it focused on interoperability across national boundaries and consequent different frequency bands, call quality and low costs. 1992: The world’s first ever SMS message was sent in the UK. Neil Papworth, aged 22 at the time was a developer for a telecom contractor tasked with developing a messaging service for Vodafone. The text message read “Merry Christmas” and was sent to Richard Jarvis, a director at Vodafone, who was enjoying his office Christmas party. 1996/97: UK phone ownership stood at 16% of households. A decade later the figure was 80%. The explosion in growth was in part driven the launch of the first pay as you go, non-contract phone service, Vodafone Prepaid, in 1996. 1998: The first downloadable content sold to mobile phones was the ringtone, launched by Finland's Radiolinja, laying the groundwork for an industry that would eventually see the Crazy Frog ringtone rack up total earnings of half a billion dollars and beat stadium-filling sob-rockers Coldplay to the number one spot in the UK charts. 1999: Emojis were invented by Shigetaka Kurita in Japan. Unlike their all-text predecessors emoticons, emojis are pictures. The same year in the UK sees the first shots fired in a supermarket price war, with Tesco, Sainsbury’s and Asda selling Pay and Go phones at discounted prices. For the first time, you could pick up a mobile phone for just under £40. The first BlackBerry phone was also unveiled in 1999. Famous for its super-easy email service, BlackBerry handsets were seen as the ultimate business tool, allowing users to read and respond to emails from anywhere. This led to 83% of users reading and responding to work emails while on holiday, and over half admitted to sending emails on the toilet, winning the manufacturer the nickname CrackBerry. 2000: The all-conquering Nokia 3310 crash landed on shop shelves. Naturally it was unscathed and went on to sell 126 million units. Over in Japan, the first commercially available camera phone The Sharp J-SH04, launched in November 2000 in Japan. The only snag? you could only use it in Japan. Europe wouldn’t get its first camera phone until the arrival of the Nokia 6750 in 2002. 2003: The 3G standard started to be adopted worldwide, kicking off the age of mobile internet and paving the way for the rise of smartphones. Honk Kong-based Hutchinson Wampoa owned Three brand offered the first 3G network connection in the UK among other countries. Staying very much on-brand, Three ranged a trio of 3G handsets, namely: the Motorola A830, the NEC e606 and NEC e808. Nepal was one of the first countries in southern Asia to launch 3G services. One of Nepal’s first companies to offer the service, Ncell, also covered Mount Everest with 3G. 2007: The iPhone debuted. Solely available on O2 at launch in the UK and priced at a then eye-watering $499, Nokia CEO confidently dismissed it as little more than a ‘cool phone’ that wouldn’t translate column inches into market share. 2008: The first Android phone turned up, in the form of the T-Mobile G1. Now dubbed the O.G of Android phones, it was a long way from the high-end Android smartphones we use today. Not least because it retained a physical keyboard and a BlackBerry-style trackball for navigation. This year also saw the advent of both Apple’s App Store and Android Market, later renamed Google Play Store, paving the way for our modern-day app culture and creating a $77 billion industry. 2009: O2 publicly announced that it had successfully demonstrated a 4G connection using six LTE masts in Slough, UK. The technology, which was supplied by Huawei, achieved a peak downlink rate of 150Mbps. WhatsApp also launched that year, letting customers send and receive calls and messages via the internet. The messaging system now has 1.2 billion users sending more than 10 billion messages a day. Which makes it 50% more popular than traditional texting. 2010: Samsung launched its first Galaxy S smartphone. Usurping former Android giants, HTC, the Samsung Galaxy S range is still the most popular Android brand. 2012: When text messages first arrived, most people didn’t think they’d catch on. Ten years later, Britons were sending a billion messages per month. In 2012, British text volume reached its highest point, with 151 billion sent in the UK alone. 2016: The Pokemon Go app launched worldwide. The free augmented reality game uses the smartphone camera and location to show Pokemon characters in the real world. The aim of the game is to travel to different locations to collect as many Pokemon as possible, leading countless gamers to walk into lamp-posts in their quest to catch ‘em all. 2017: The Nokia 3310 had a revival, sporting a fresh version equipped with basic web browsing, a colourful screen and even a camera. Despite this, it still retained our favourite features from the original 3310, including the iconic design, super-long battery life and even an updated version of Snake. Needless to say, it stole the show at the Mobile World Congress (MWC) tech expo and was one of the biggest hits of the year. Apple marked ten years in the smartphone game with the all-screen iPhone X and ditched a physical home button for the first time. From ‘80s menhir-like “brickphones” to the iconic Nokia handsets, these are some of the phones that pushed the boundaries of what was possible and paved the way for today’s smartphones. Known in the industry as “the brick” and visible in many scenes of the 1987 movie Wall Street, the Motorola Dynatac 800X was the first handheld mobile phone and loudly announced the beginning of a new era. The price? An eye-watering £3,000. The world’s first mass produced phone that used the new GSM digital standard, the Nokia 1011 was ‘available in any colour, as long as it’s black’. Specs included a monochrome LCD screen, extendable antenna and a memory capable of storing 99 phone numbers. The most expensive and desirable phone on the market at the time of its release, the StarTac debuted the clamshell design and was the lightest and smallest phone on the market. It was also the first phone to be openly marketed as a luxury item. This little known German-made and impractically minimal handset was the first phone that had no visible external antenna. The first phone with a colour screen, Siemens’ S10 was a landmark device by any yardstick. Although its uninspiring design and tiny 97 x 54-pixel display failed to set the world on fire, it more than merits a place in the annals of mobile phone history. Sponsor of London Fashion Week in 1999, it was an instant success and kickstarted the vogue for customising your handset. Another first for the Finnish phone-maker, the 7110 was the first handset to feature a WAP browser. That meant it was capable of browsing the internet. Or at least a stripped down and incredibly slow version of it that was of little use to most people. But for all that, it was a big step towards the multi-functionality that’s at the core of today’s smartphones. This was the first tri-band GSM phone, meaning it worked everywhere around the world. A must-have for self-proclaimed citizens of the world. And the hordes of Gen X-ers heading to Asia on the backpacker trail. As was the fashion of the time. The first serious attempt at an internet-enabled mobile phone, the Communicator was ahead of its time. It weighed around 400g, so was no-one’s idea of pocket-sized. But on the plus side, it had 8MB of storage and a full keyboard, you could use it as a personal organiser, as well as a web browser and email support. Billed as the first commercially available camera phone, Sharp's effort was only sold in Japan and had a camera resolution of 0.11MP. ‘Blurrycam’ didn’t begin to cover it. Legendarily sturdy, the 3310 was the phone that launched a thousand memes. And with 126 million units shifted, stands as one of the biggest-selling phone of all time. The battery lasted for days and it was light and truly pocketable at only 133g. It also introduced the Snake game, customisable ringtones and a silent 'vibrate' mode. The Nokia 1100 was launched as a basic phone for developing-world countries back in 2003. The best part of a decade and a half and one smartphone boom later, it remains the best selling mobile phone of all time. The last great flip phone, the Razr was impossibly thin at only 14mm. Unusually for the time, it also had an aluminium casing that looked achingly slick. Ironically, the overwhelming success of the Razr was probably the main cause of the downfall of Motorola. In hindsight, it’s apparent that the US phone-maker’s over-reliance on this successful and iconic series caused the company to fall behind, failing to innovate and compete with the soon-to-arrive large-screen phones from LG and Samsung. The first true Blackberry phone, which integrated a phone with fully functioning email, web browsing and the much loved Blackberry Messenger. These Are some Short Summary on History Of Mobile Phones.